Want To Explore Asian Restaurants In Madison? Here Is All You Need! Gourment is helpful to recover from the heavy study life. Madison, as a college town, collects foods from so many other countries due to the large international student size here missing their home tastes. This journal will guide you to the best Asian restaurants in the town that you can either try the food for the first time or have a feast with your friends. This is a Korean restaurant that you would not miss. They provide authentic Korean foods. The restaurant is not too far from the campus. It would only take 5 minutes uber to get there. 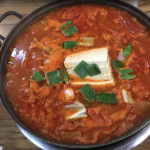 It is a spicy kimchi pot with ham, sausage, bacon, tofu, vegetables, and ramen. the best of the pot is that you can have everything in one pot. The best is that the restaurant uses its own handmade kimchi. it is not as spicy as you think. It is more about kimchi taste. It is a new ramen restaurant right on the campus. Although it is a Japanese restaurant, it does not have any sushi on its menu at all. The most popular is the ramen. It is a large size ramen in the restaurant. 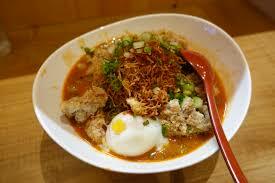 People who don’t like spicy ramen would definitely try this one. You also get to choose the meat in the soup. You can either have slices of pork or turkey. You will also have corn, weed, and bamboo shoot in the soup to provide more flavors.